I am a Chinese …… my english is very poor……but i want to do something about the mod. First.thanks for Mr.MigEater. Thanks him for him to pay a lot of the MOD. The mod is very splendid, reconstruct the sence of the WW2——up to now, the most serious destructive war in Human History,not only Europe,But also Asia. So, I want to contribut some data of Chinese army during the war. I think most western don't familiar with Far East battlefield,Because at the time,China is an underdeveloped country,confronting with threat from Japanese Empire. But my motherland was still try to building a Military industrial system. In fact the fighter never take part in any war——It was incomplete,only finish a fighter prototype. 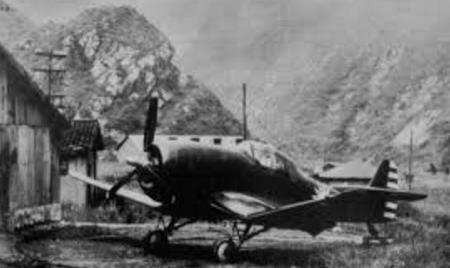 Because of war ，the datas about the XP-1 are rarely. The picture is only known historic photo,maybe in GuiZhou or SiChuan. I hope Mr.MigEater can see my post . If he is so busy that he can‘t make ~’ nothing， I hope more people can understand the efforts of the Chinese people to defend the motherland. Future I will contribute more datas about Chinese army during the war.